Kaleb's mom, Nicole Warnick, writes this story for us about her sixteen year old son Kaleb: Kaleb Mearkle resides in Grantsville, Maryland with his family. In fact, he just celebrated his sixteenth birthday! He attended Mountain View Christian School in Springs, PA this past year in 9th grade. A young man who easily wins your heart with his warm personality, he always has a smile and a wonderful attitude. 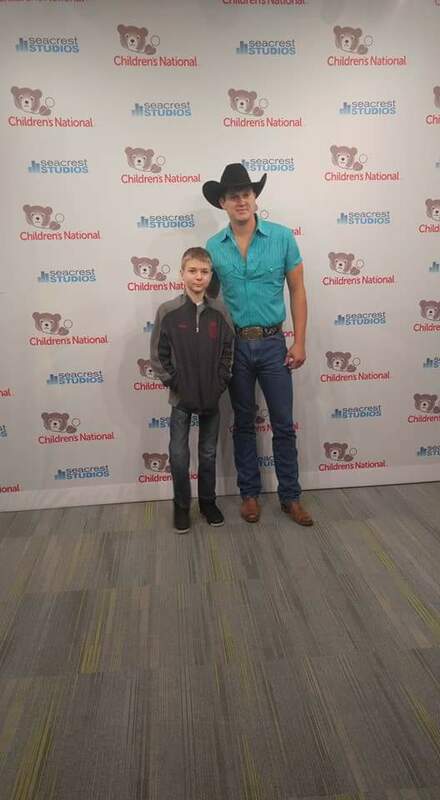 He enjoys hunting and fishing with his stepfather and uncle, playing video games with his big brother and even baking with his mother, godmother and aunt. Kaleb is a Junior Cadet at the Bittinger Volunteer Fire Department under the watchful eye of Chief Justin Orendorf. He is just an amazing young man. He is not disabled, he just plays and lives with a handicap. Kaleb has played baseball in the past and now he plays basketball for his school. He also loves to travel, especially going to the ocean and going out to Arizona to visit his Aunt Juju(Julia) and her family. This young man of determination and will was born with a congenital deformity of the right leg which required a below the knee amputation at just two months old. Kaleb is a patient at John Hopkins Hospital under Doctor Paul Sponseller and has been with Dr. Sponseller since birth. He has also been part of The Children's League since he was eight months old, where he continues his care with them under the watchful eye of Cathy Broaden. He has been with Dankmeyer for a number of years as Cumberland practitioner Mark Treasure's (CP, BOCO) patient. Kaleb has not only learned to live with his amputation and wearing his prosthesis since he was six months old, but he has faced other health issues. Despite numerous obstacles throughout his life, Kaleb finds a way and works hard to overcome them. His “I can do it” attitude and determination has enabled him to enjoy life. NOTE: Recently, another patient encountered Kaleb while on an office visit to the Cumberland office. 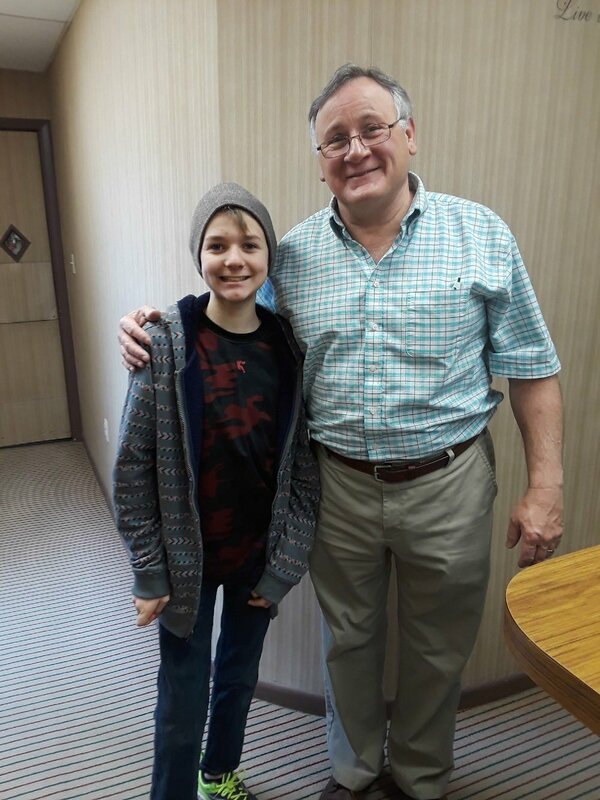 This patient commented on a conversation that he shared with Mark Treasure and Kaleb (whom he did not know) - what a "respectful and positive man" Kaleb was.